The Aquabeads Dress Up Key Chain Set is the perfect accessory refill pack. Designed for ages 4 years and older, this set includes over 350 beads in 7 colors, key chain accessory, key chain, 2 double-sided template sheets and instructions. 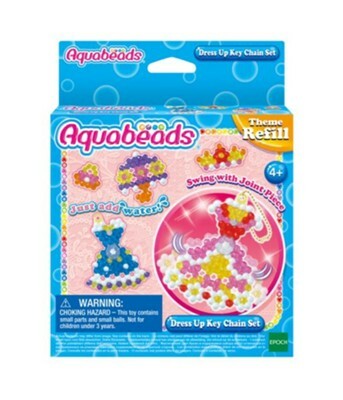 Package measures 5.5"W x 1.2"D x 7.1"H.
I'm the author/artist and I want to review Aquabeads Dress Up Keychain Set.